FAITHSISTERS! 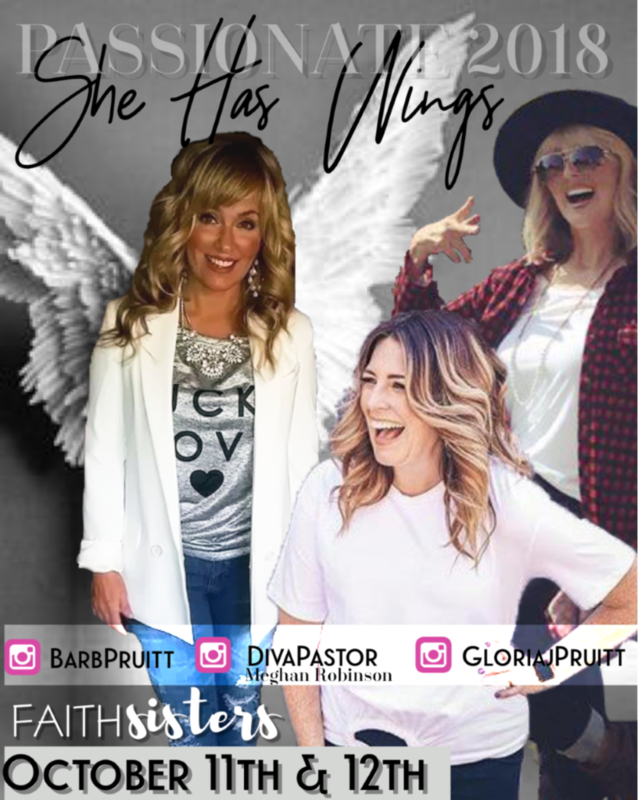 it is time for our PASSIONATE 2018 "She Has Wings" Conference!! Save the DATE, get here early to shop and get a seat!! Both nights will have powerful worship, word, fun and ministry!! Friday night will have fun snack foods and an after party!! Special Guests: Pastor Gloria is coming from TENNESSEE and Meghan Robinson aka Diva Pastor. INVITE your friends for both nights, register for childcare if you need it!